FRONT ROYAL, VA — A Jesuit friend remarked recently that, while several modern popes have been canonized, the last cardinal to be so honored — Saint Robert Bellarmine, S.J. — died almost 400 years ago. That observation suggests a rule of thumb for the upcoming conclave: it's quite probable that some of the cardinals voting in the Sistine Chapel might not be canonizable; but the man they elect certainly should be. The last conclave had it right: someday soon, we will be able to pray to Pope Saint Benedict the XVI — Pope Benedict the Great. This is not an idle rumination. Father James V. Schall, S.J., who recently retired after a long career as one of Georgetown University's most beloved professors, is also one of the most published scholars at America's oldest Catholic college. Simply because he is the man he is, hundreds of his former students undoubtedly consider him to be one of their best friends, and certainly the wisest. So his words have great weight. [H]istory will remember Benedict as "the greatest and most learned intellect ever to occupy the Chair of Peter," Father Schall says. "No public official in our time has been anywhere near his intellectual equal." In a recent interview with Kathryn Jean Lopez, Father Schall highlights a facet of Benedict's contributions to the Church that isn't getting much media noise these days: history will remember Benedict as "the greatest and most learned intellect ever to occupy the Chair of Peter," Father Schall says. "No public official in our time has been anywhere near his intellectual equal. This disparity is itself the cause of much disorder, if we grant, as we must, that truth is the essence of intellect and indeed order." A keen insight, to be sure. Why, then, is this profound dimension of Benedict's persona virtually ignored by the secular paparazzi? And why are all the "experts" summoned for comment by the media silent about this intellectual giant in our midst? 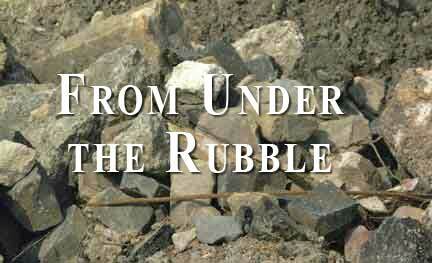 Father Schall sums it up bluntly: "The media and most universities are, basically, hopeless." Hopeless? But wait. Didn't Benedict write an encyclical, Spe Salvi, "In hope we are saved"? Yes indeed. But it is the Church, as the late John Cardinal Wright wrote, that is the "Hope of the World." And Pope Benedict, in his steadfast devotion to the truth — the "essence of order" — has clashed repeatedly with the world. At times his targets have even included bishops in secular countries, whom he has virtually had to beg to "call the faithful to complete fidelity to the Church's Magisterium." Specifically, to fidelity with the unpopular parts, like the teachings of sexual morality contained in Humanae Vitae, the prophetic encyclical on marriage promulgated by Pope Paul VI on July 25, 1968. Pope Benedict, in his steadfast devotion to the truth — the "essence of order" — has clashed repeatedly with the world. Today America's bishops face two issues addressed by Humanae Vitae that they'd rather not discuss. Neither would I, frankly. Even reading about them might prove irksome… but they must be addressed. These problems are, after all, in plain view. They lie at the center of the storm that now embroils the Church in the United States, but no one will talk about them. For that, the Church has paid a heavy price. And so has the culture. First, the bishops have challenged in court the HHS Contraception Mandate, which flows directly from the health care legislation that the bishops ardently supported until they found out (too late) that they'd been snookered. But why this sudden concern about contraception? For years the bishops' conference has advocated various pieces of federal legislation that provide billions for "family planning" at home and abroad — most of it in the form of contraceptives and abortifacients, even abortion. Doesn't this constitute a rather gnawing contradiction? Why the Orwellian DoubleThink? Well, Cardinal Timothy Dolan, president of the bishops' conference, admitted last year that the bishops haven't taught the Church's tough teaching on sexual morality for half a century, even though every pope has instructed them to do so. As a result, the bishops are in the uncomfortable position of having to oppose the Contraception Mandate without being able to talk about contraception. And it hurts. Second, the bishops have a similar aversion to the issue of homosexuality. The Church firmly teaches that an active homosexual lifestyle, like contraception, is an objective evil. But two generations of Americans have grown up without hearing that Church teaching. Nor are they hearing it now: hence, the bishops, once more uncomfortable, must oppose homosexual marriage without being able to talk honestly about homosexuality. The problem won't go away. As American cardinals mingle with their brother papabiles in Rome. Cardinal O'Brien of Scotland, having made homosexual advances to several young seminarians years ago, has just resigned and will not attend the conclave. In contrast, Los Angeles Cardinal Roger Mahony will participate in the conclave. But Cardinal Mahony has just been publicly rebuked by his successor because he had covered up for countless clerical homosexual rapes of adolescents during his tenure. Over the course of several years he spent nearly a billion dollars on lawyers and settlements that protected him from testifying publicly in court — successfully, so far. Yet, blogging from Rome, he has been bragging that he is able to forgive his critics, as though they were the sinners. America's bishops have been insisting for years that "the scandals are behind us." Not for Mahony — and not for Cardinal Bernard Law, either. He has had to stay in Rome for the past ten years because he risks facing charges in Boston for his own coverups of clerical abuse there. And a lot of his brother bishops have escaped similar fates only because of the statute of limitations. Clearly, Cardinals Law and Mahony are not folks that the universal church is looking to as role models. Their mere presence in the pre-conclave meetings acts as a nagging reminder of the two critical moral issues on everybody else's mind – the abuse-and-coverup scandals, and homosexuality. Enter Cardinal Francis George of Chicago, past president of the bishops' conference and a member of the conclave. "Whoever's elected pope," the cardinal told the Catholic News Service this week, "obviously has to accept the universal code of the church now, which is zero tolerance for anyone who has ever abused a minor child." Zero tolerance for the abusers. Good. But total tolerance for the dozens and dozens of bishops like Cardinal Mahony who enabled, protected, and even promoted them? Of Cardinal O'Brien's resignation, Cardinal George observed that "The tragic moment was when he was guilty of misconduct and then the consequence has played itself out now." For the American bishops who were silent on Humanae Vitae, that tragic moment has lasted for forty-five years and counting. And its tragic moral, cultural, and even political consequences surround us today. So back to our question: could an American be named to succeed Pope Benedict and assume the Chair of Peter? It's possible. If that should come to pass, however, it will be a signal to us all that the Catholic Church intends to impose worldwide the silence on critical moral issues that has prevailed in America since the days when Cardinal Dolan was in the seminary. Which is why I doubt that it will happen. While the cardinals are prayerfully contemplating their next spiritual leader, they might be listening to the sacred hymns that were sung in Saint Peter's centuries ago. 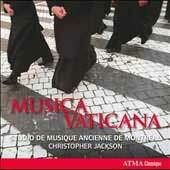 But even if they don't, you can: Musica Vaticana (Christopher Jackson and the Studio de Musique Ancienne de Montreal; ATMA Classique 2508) resonates down the years with beautiful polyphonic choral music from the sixteenth and seventeenth centuries. You'll imagine Michelangelo's angels leaping off the Sistene Chapel's walls in joyous song, listening to this marvelous disc while you await the white smoke wafting above Saint Peter's Square. 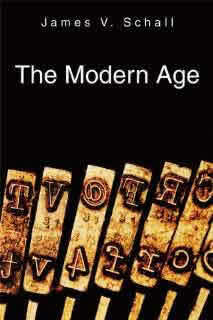 And while you're listening, pick up a copy of Father Schall's The Modern Age (St. Augustine's Press). It will bring you down to earth, because the modern age is defiantly un-sacred, by and large. Upbeat chapters like "The Brighter Side of Hell" mingle with downbeat observations about politics philosophy, and the Four Last Things (Death, Judgment, Heaven and Hell) depicted on Michelangelo's wall that looks down the cardinals as they cast their votes. et in ore eorum dulcis resonabat sonus!